Altruism poses a problem for evolutionary biologists because natural selection is not expected to favor behaviors that are beneficial to recipients, but costly to actors. The theory of kin selection, first articulated by Hamilton (1964), provides a solution to the problem. Hamilton's well-known rule (br > c) provides a simple algorithm for the evolution of altruism via kin selection. Because kin recognition is a crucial requirement of kin selection, it is important to know whether and how primates can recognize their relatives. While conventional wisdom has been that primates can recognize maternal kin, but not paternal kin, this view is being challenged by new findings. The ability to recognize kin implies that kin selection may shape altruistic behavior in primate groups. I focus on two cases in which kin selection is tightly woven into the fabric of social life. For female baboons, macaques, and vervets maternal kinship is an important axis of social networks, coalitionary activity, and dominance relationships. Detailed studies of the patterning of altruistic interactions within these species illustrate the extent and limits of nepotism in their social lives. 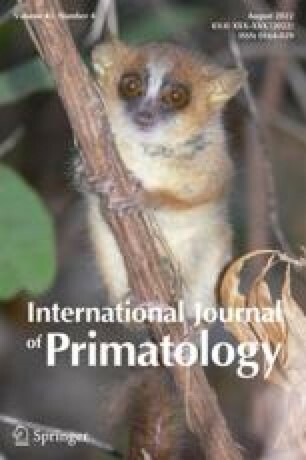 Carefully integrated analyses of behavior, demography, and genetics among red howlers provide an independent example of how kin selection shapes social organization and behavior. In red howlers, kin bonds shape the life histories and reproductive performance of both males and female. The two cases demonstrate that kin selection can be a powerful source of altruistic activity within primate groups. However, to fully assess the role of kin selection in primate groups, we need more information about the effects of kinship on the patterning of behavior across the Primates and accurate information about paternal kin relationships.